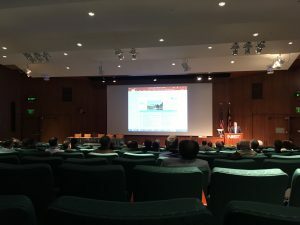 CCSDS Spring 2018 meeting series were held in Gaithersburg, Maryland – USA at the National Institute of Standards and Technology (NIST) 9 April – 13 April 2018. ОAssociate professor of department #14 of aerospace computer and software systems, head of EmCoMobile laboratory Valentin Olenev participated this CCSDS meeting from IHPCNT side. During the meeting participants discussed standards for the wireless data transmission interfaces of spacecraft, 802.11 and LTE standards application perspectives, unified packet service for the onboard networks.